Electric bikes are nothing new anymore. But the SunCycle has something that makes it one of a kind: integrated photovoltaic panels that use sunlight to recharge its battery. Within 8 hours, your bike is fully charged. 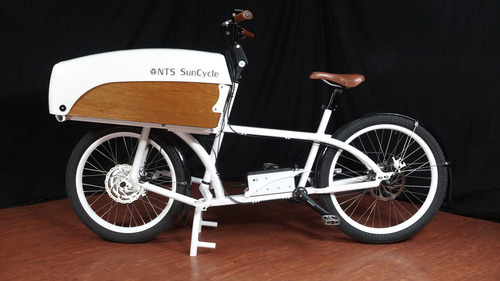 Although the panels add an additional weight to the bike ( adding 2 lb or 907kg), it is a 100% natural resource, compared to other e-bikes that often use coal-burning power plants to charge the battery. The bike retails for $3,900. If you choose the healthy way of transporting, go green with the SunCycle. Click here for more information.